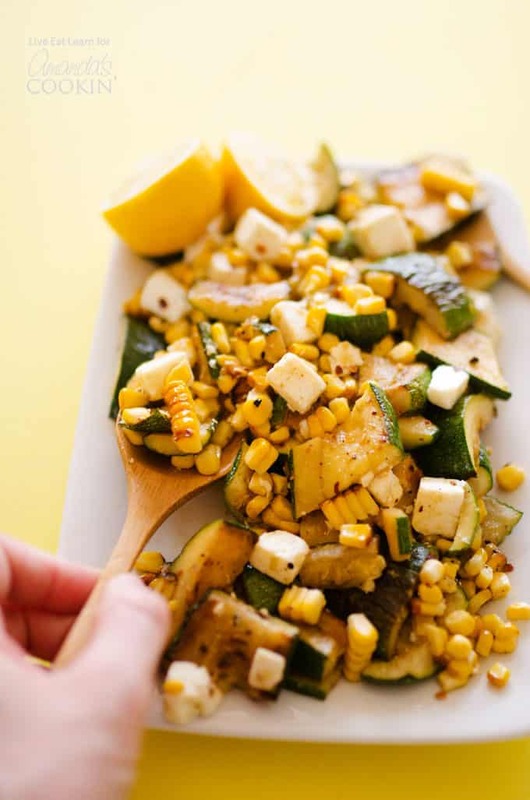 Grilled Corn & Zucchini Salad: enjoy your summer veggies! 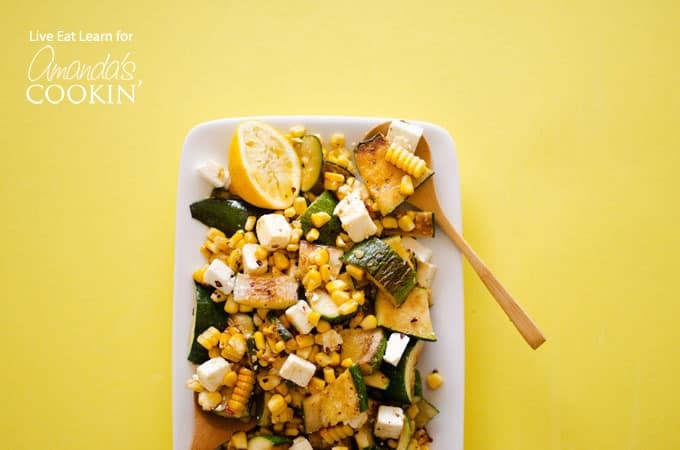 This Grilled Corn & Zucchini Salad with Feta is like summer in a bowl. Char-grilled summer vegetables, freshly squeezed lemon, and plenty of feta cheese! This is the perfect salad for those warm sunny days approaching, just like this Summer Vegetable Pasta Salad we enjoyed last year! It’s safe to say that summer has reached our home, i.e. the Netherlands! The rare Dutch sun has peeked out from behind the clouds and we welcomed it in full force, with plenty of sunscreen and grilled veggies. And there is seriously no better way to enjoy summer vegetables than in the form of this Grilled Corn & Zucchini Salad. You’ll basically combine olive oil with some yums (i.e. garlic, crushed red pepper, the whole shebang). You’ll rub your veggies with that mixture and grill them, either on an outdoor grill or in a skillet. Then just chop it all up, toss with feta cheese, and drizzle with lemon juice. Boom, summer in a salad. Ever since I discovered this dish a few years ago, it has been my staple summer side dish. Mostly because it’s so SO delicious, but also because it’s ridiculously easy to make. Want more delicious ideas? Check out the recipes below! Fall Quinoa Salad – It’s delicious served warm or cold. Either way you choose to make it, our Maple Walnut Vinaigrette tops this salad off perfectly. Cucumber Sandwiches – These little finger sandwiches are great for cooling off on a hot day or as a healthy snack for kids and adults alike. Whipped Brie Stuffed Strawberries – These colorful brie stuffed strawberries make for a really quick and healthy appetizer, finger food, or even snack that your family is going to love. Gouda and Sun-Dried Tomato Cheese Ball – This would be great for any big game, get together, or potluck you might be having! Chicken Salad with Grapes – We couldn’t leave out this staple! Served on a lettuce leaf or bun, this chicken salad is perfect for summer parties or as a delicious lunch. 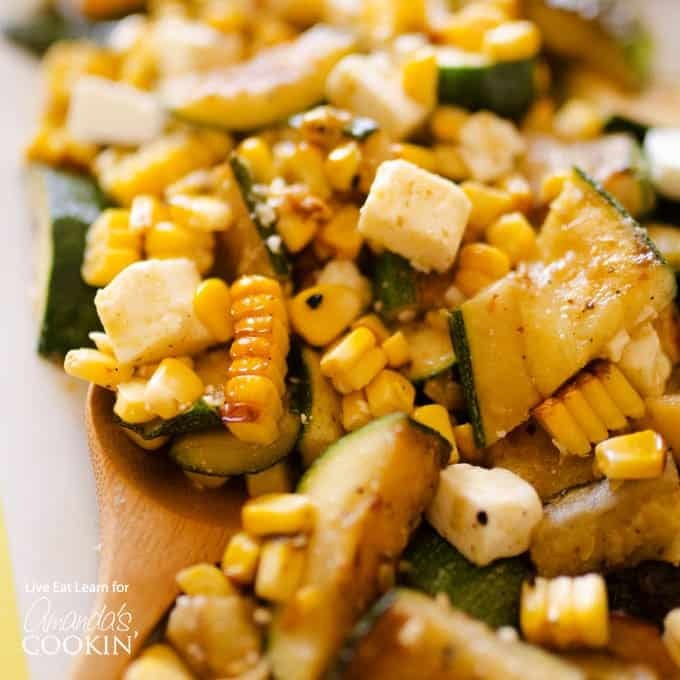 This Grilled Corn and Zucchini Salad with Feta is like summer in a salad. Char-grilled summer vegetables, freshly squeezed lemon, and plenty of feta cheese! In a large bowl, mix olive oil, garlic, salt, pepper, and red pepper flakes. Lightly coat corn and cut zucchini with half of the mixture. Leave the rest of the mixture in the bowl. Grill veggies, charring some (but not all) for flavor. 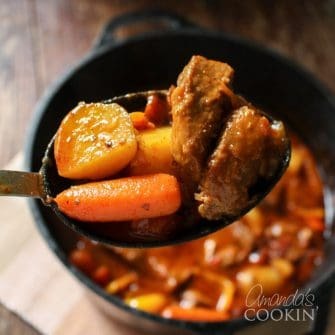 Alternatively, cook on high in a skillet until tender. Cut corn from stalk and cut zucchini into ½ inch wide pieces. Mix all veggies into bowl with remaining oil mixture. Mix in lemon juice and feta cheese. Serve warm or cold.